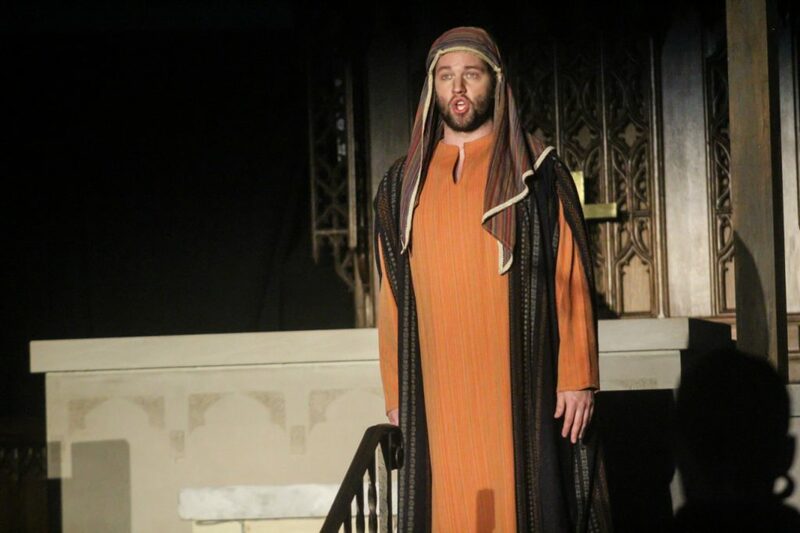 Here are some photos from the rehearsals and performances of Joseph’s Gift. 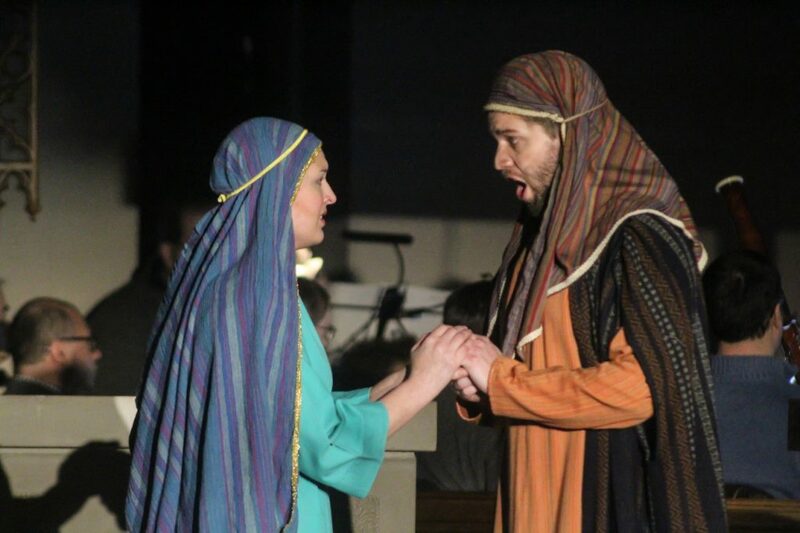 More photos, as well as video of the complete performance, can be found at the Joseph’s Gift website. 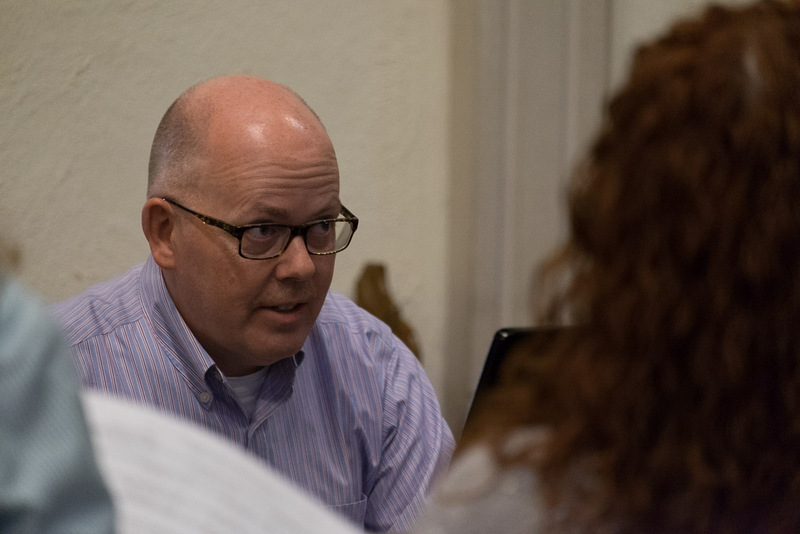 Music Director James Janssen makes a point in rehearsal. 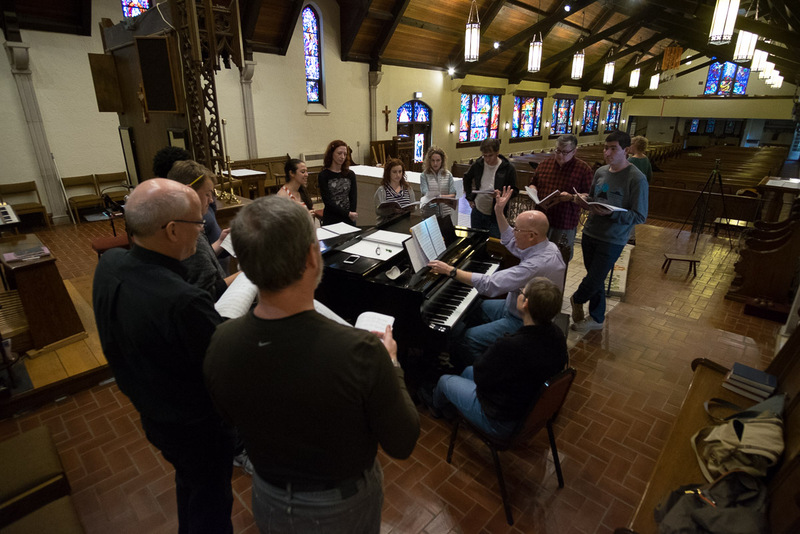 Members of the chorus surround the piano for a music rehearsal. 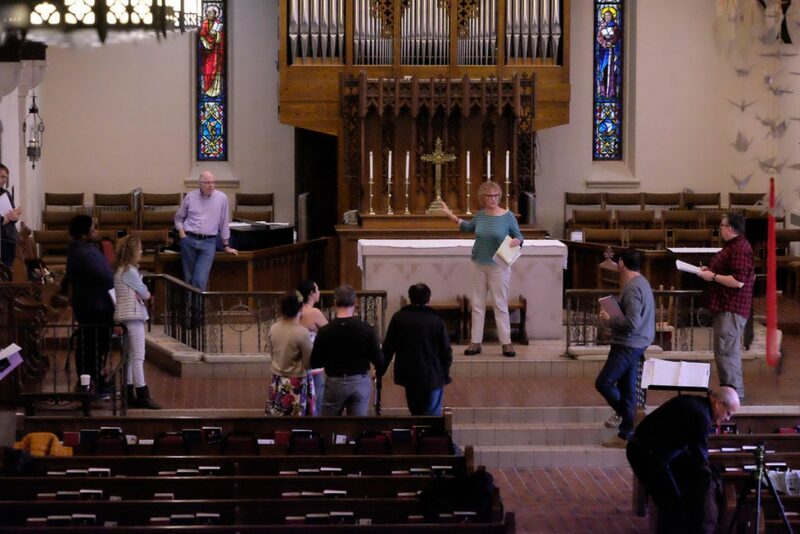 Stage Director Sally Craige Christensen instructs the chorus in a scene. 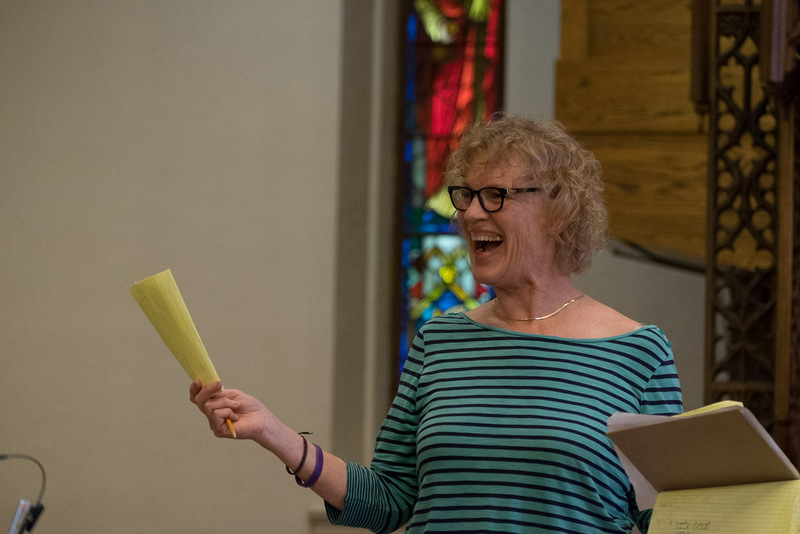 Stage Director Sally Craige Christensen has a moment of sheer delight in rehearsal. 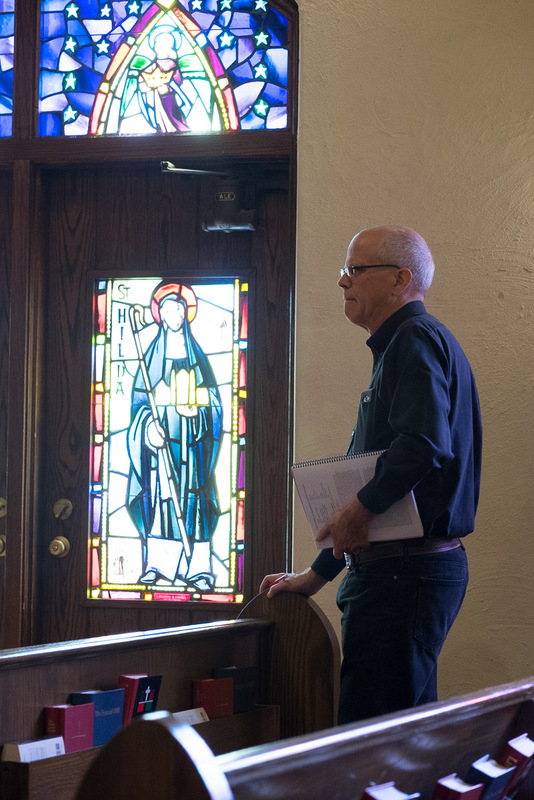 Composer Francis Lynch watches the rehearsal from the wings. 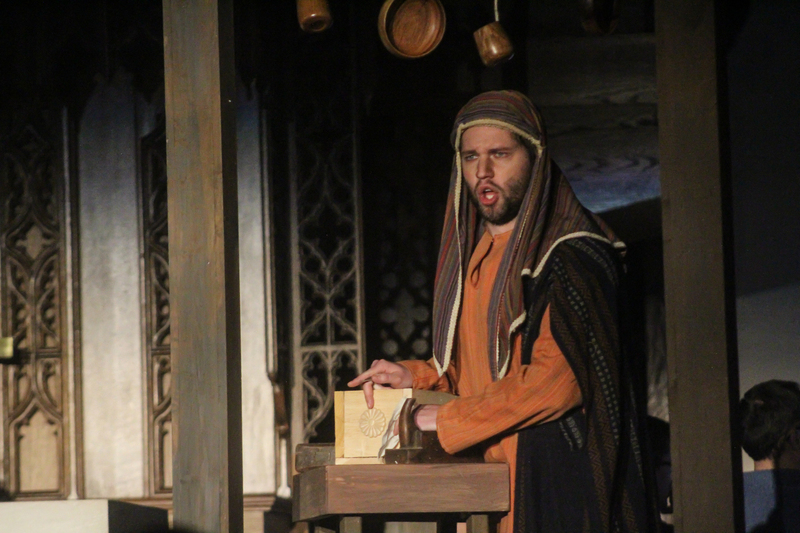 Joseph (Zachary Angus) in his workshop. Mary (Hillary Esqueda) listens as Joseph (Zachary Angus) makes his betrothal pledge. 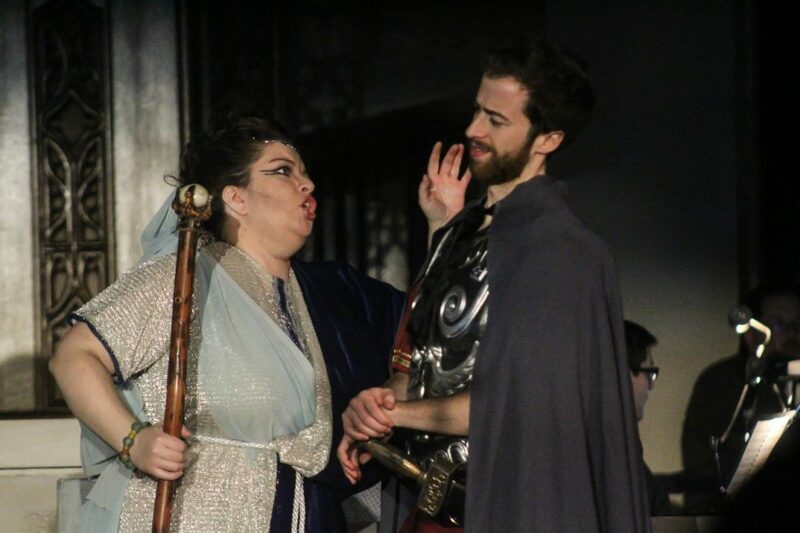 The Seeress (Angela Torres-Kutkuhn) rebukes the Roman soldier Marcus (Gabriel Di Gennaro). 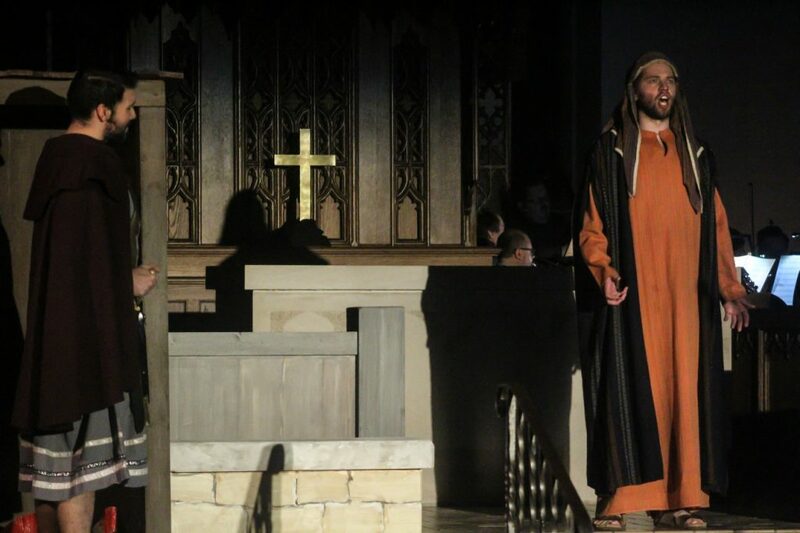 The Roman centurion Cornelius (Karlos Piñero-Mercado) listens as Joseph (Zachary Angus) sings.